Date: Monday 17 November 2003. 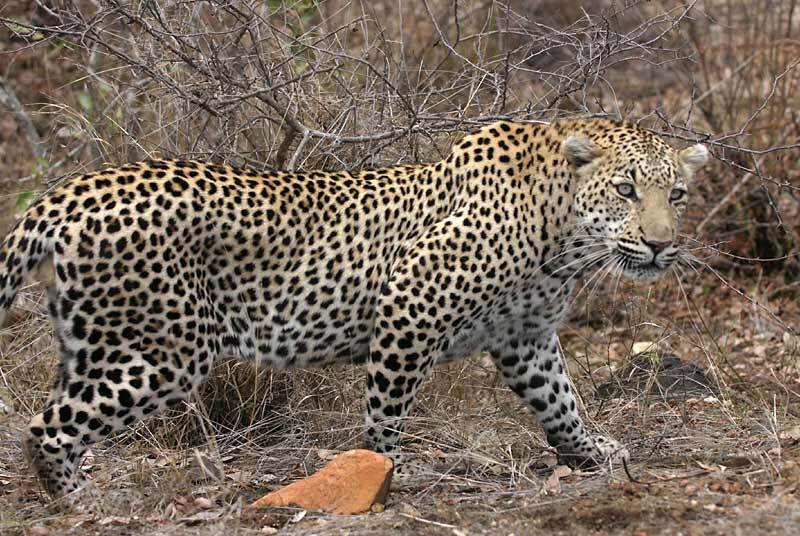 Leopard are elusive cats and one doesn't often get the chance to photograph them. On numerous visits to nature reserves I have caught only fleeting glimpses. But sometimes you get lucky, as happened to my friends John and Sharon Bishop in the Kruger National Park. They saw an impala carcass near the road, but no sign of the predator that had recently killed it. Instead of rushing off, they waited in hope that hyena would emerge to scavenge on the remains. 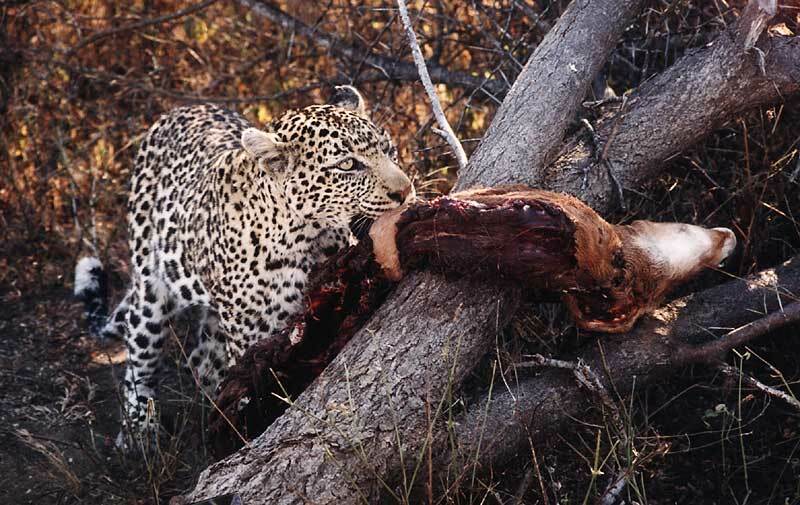 But then, to their delight, a leopard slipped silently from the bush to retrieve its kill. Sharon, a former press photographer, didn't hesitate and shot off a series of shots of the big cat with the impala. Below are two from her series of pictures. The third picture is also from Kruger Park, taken when I was there in October. It's the best I've been able to get- a quick shot as this big male appeared briefly from the undergrowth and then, as quickly, disappeared. Ah well, maybe next time! 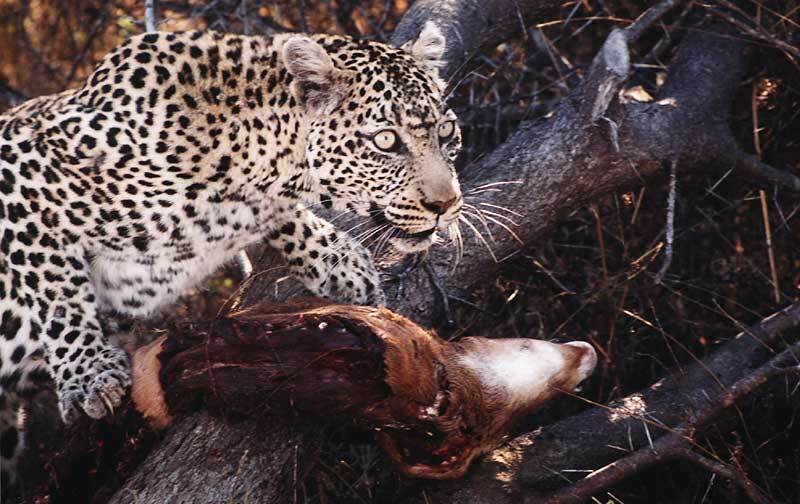 (Please note the pics of the leopard with the impala are copyright the owner and cannot be used without permission).